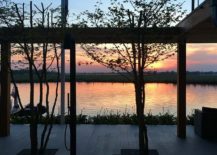 Want to leave all your woes behind and escape to an idyllic setting where life comes to a standstill in the most picturesque fashion? 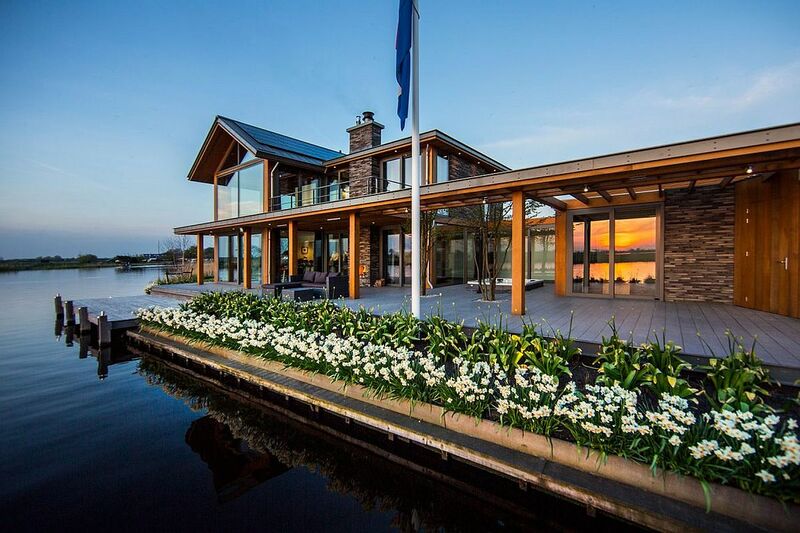 Then a home like Villa Rijpwetering is the one you need! 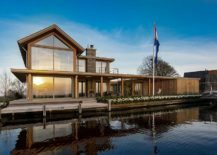 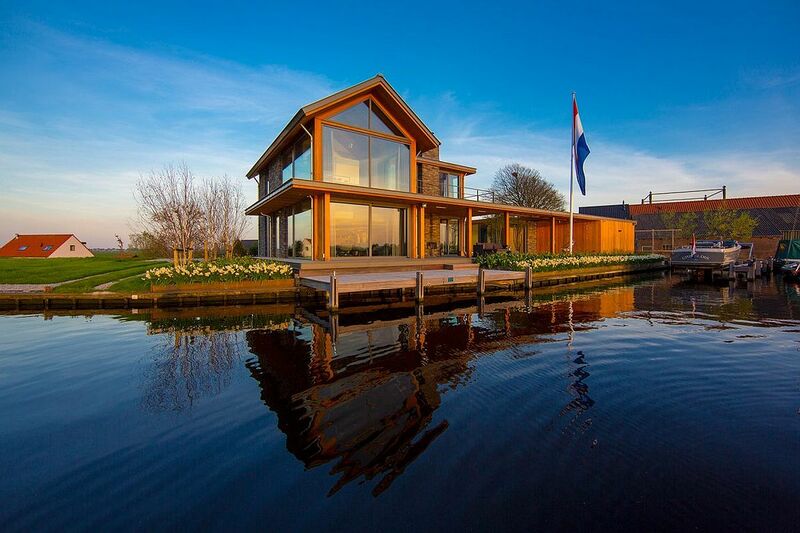 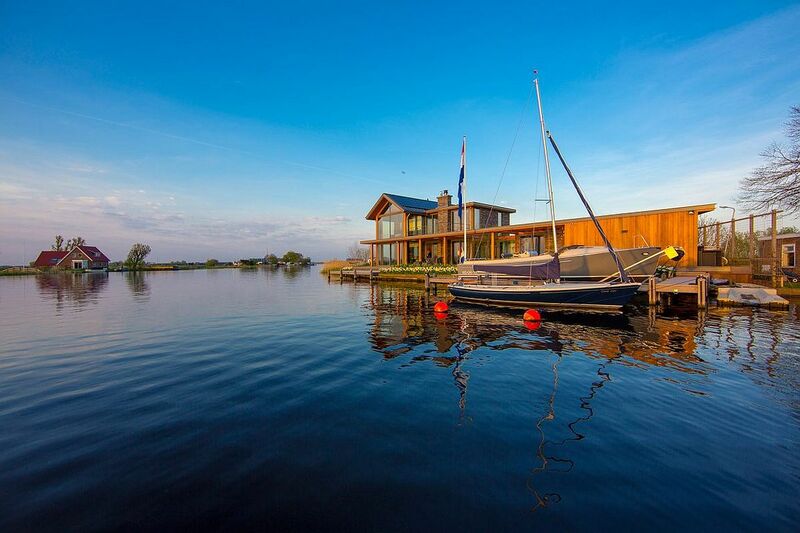 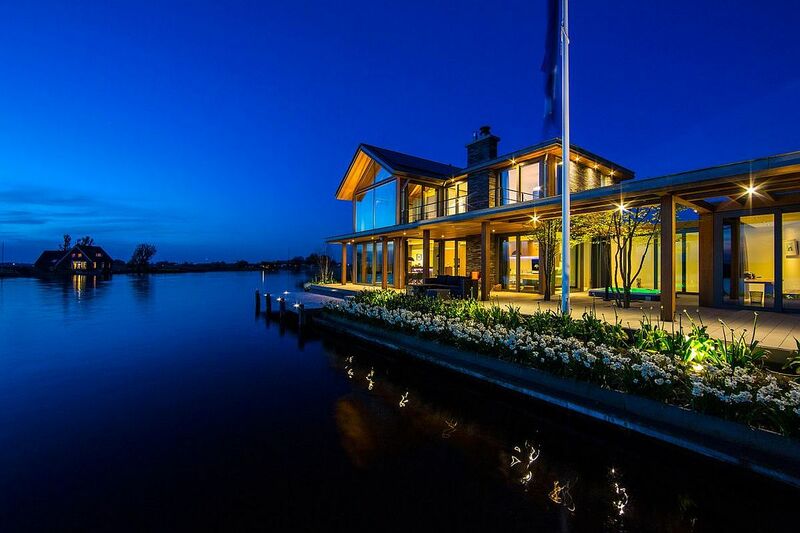 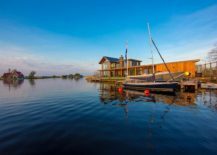 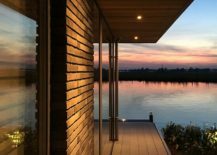 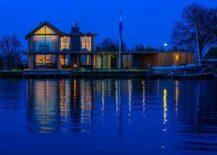 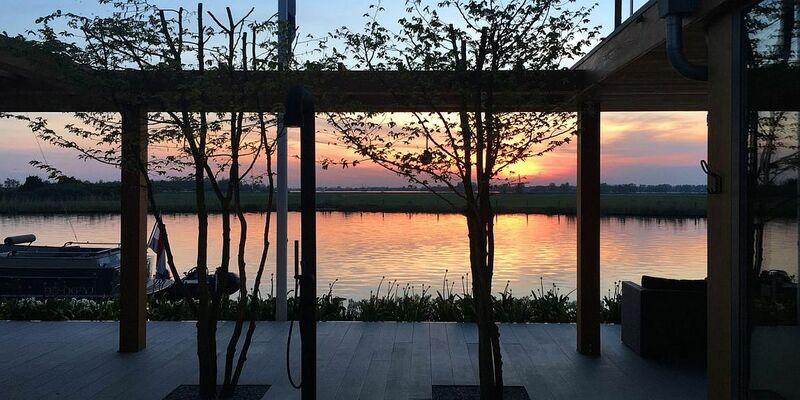 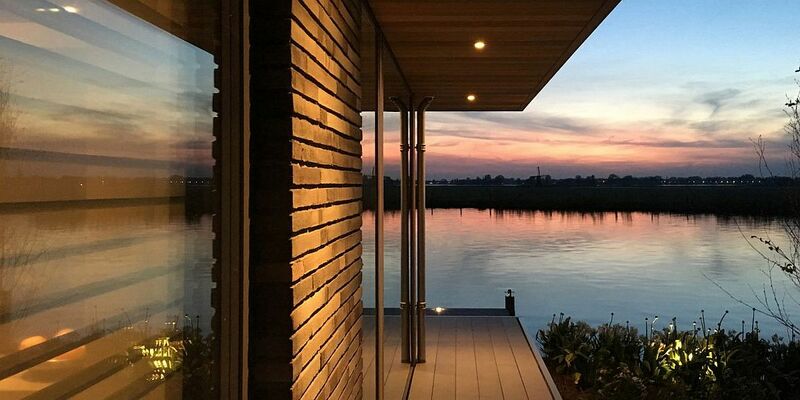 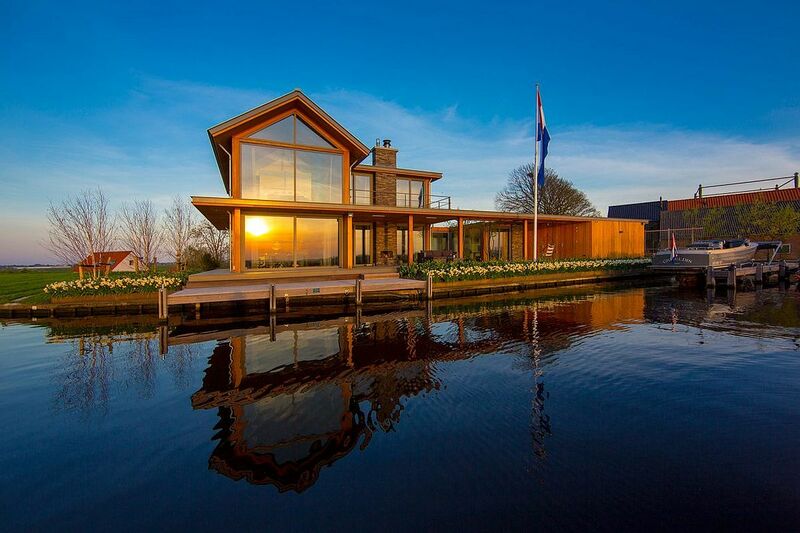 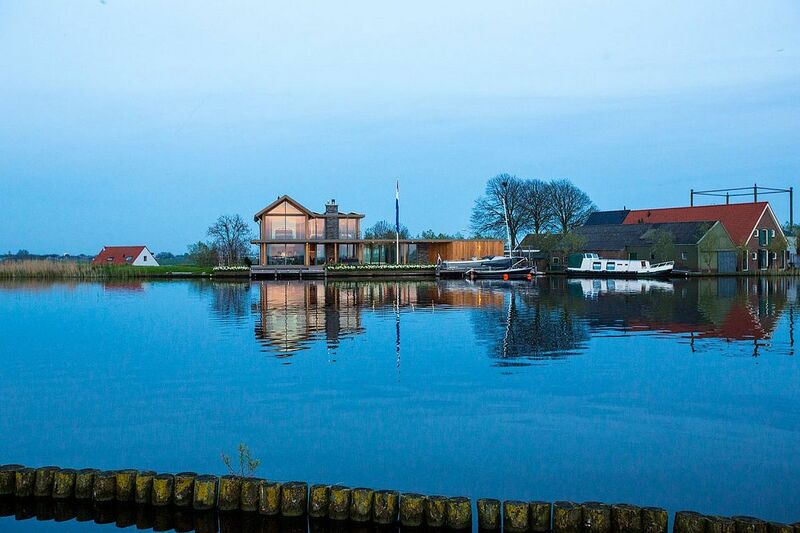 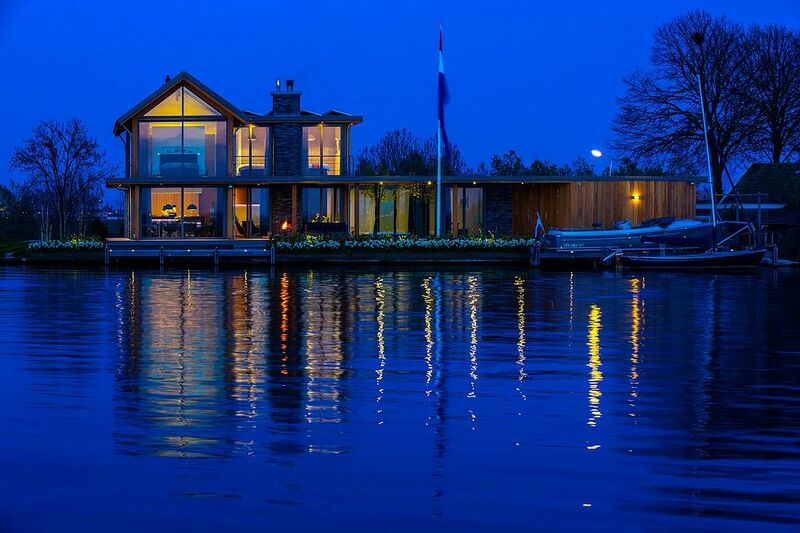 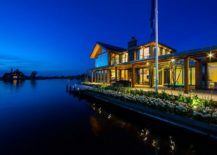 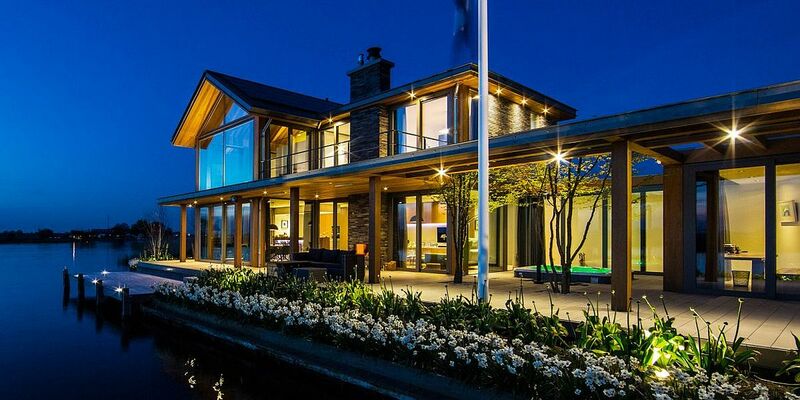 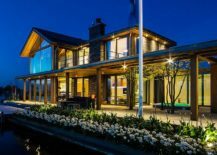 Nestled on the edge of the tranquil Kaag Lake System in Rijpwetering, South Holland, this gorgeous contemporary villa does give you an entirely new perspective on life. 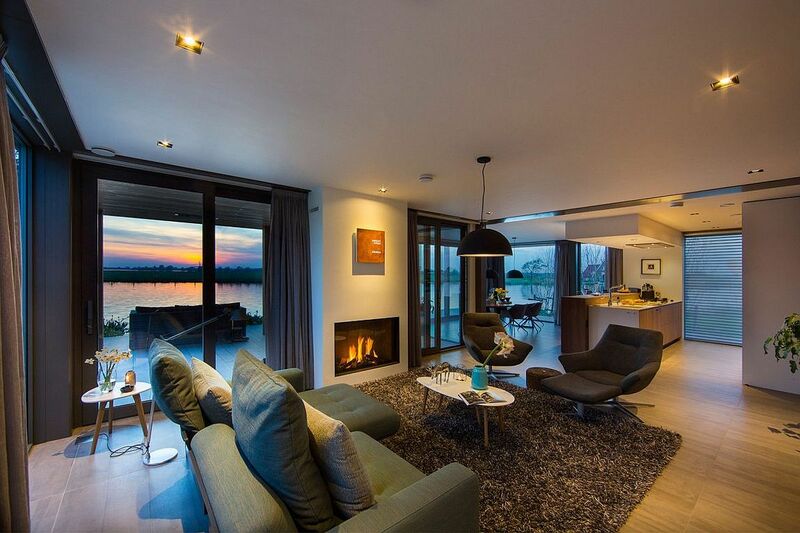 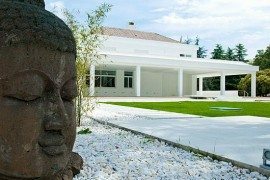 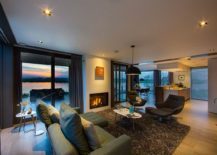 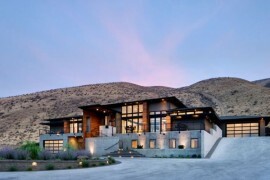 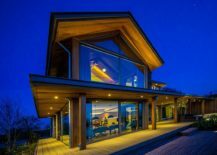 Designed by DENOLDERVLEUGELS Architects & Associates, the modern residence combines traditional aesthetics and the native architectural style of the region with contemporary comfort and ease in an effortless manner. 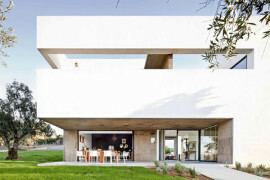 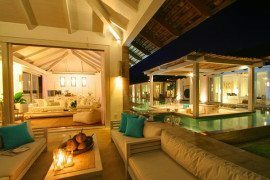 The result is a stunning getaway that leaves you spellbound. 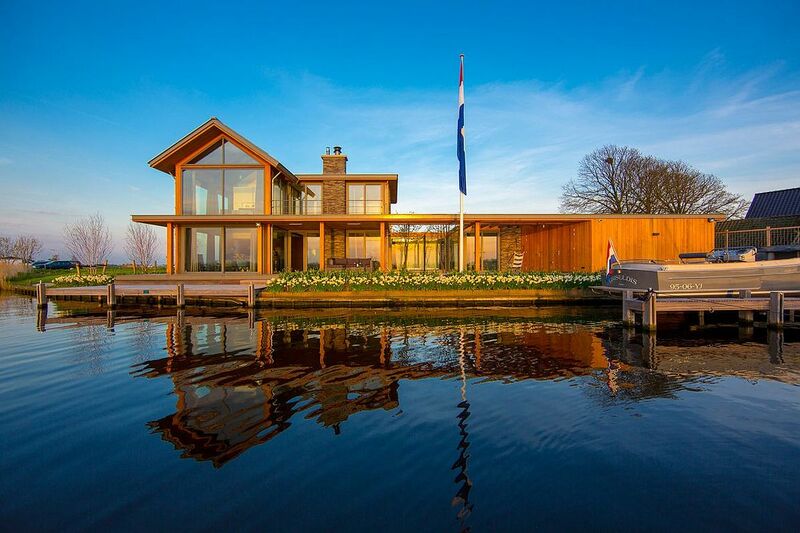 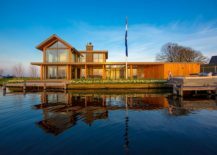 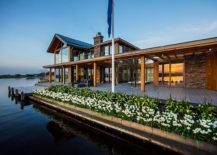 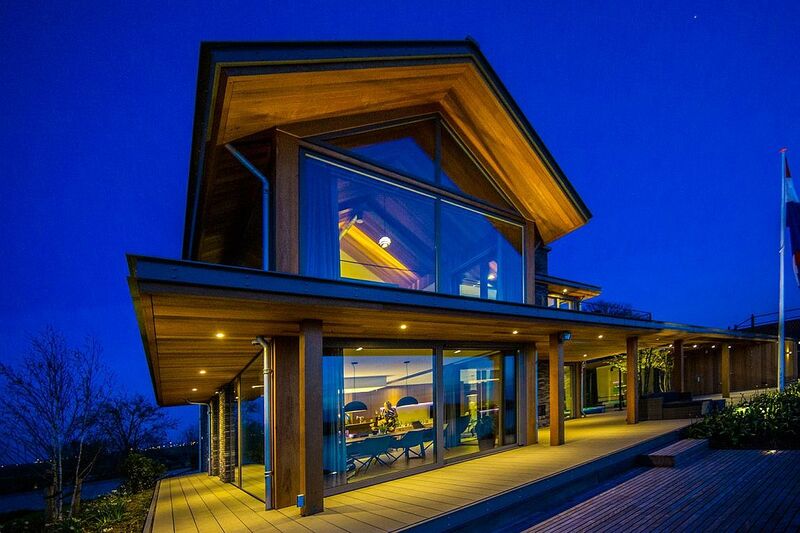 Villa Rijpwetering is all about relaxed Dutch living at its elegant best, with the lavish house opening up towards the water views outside, thanks to the large glass façade. 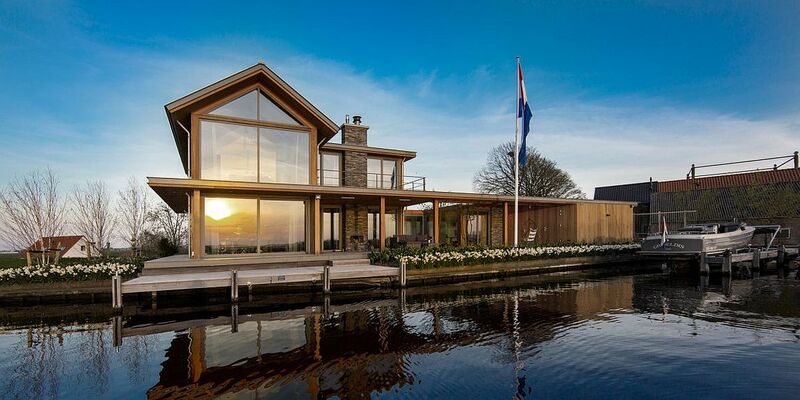 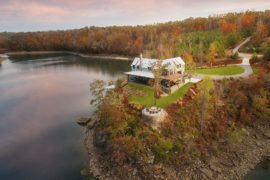 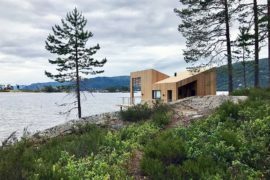 An expansive wooden deck and series of terraces connect the home with the boat docks, and the dwelling seems to gently float above the water when viewed from a distance. 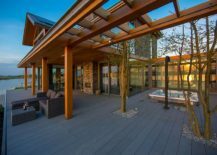 These generous outdoor spaces extend the indoor living area and create an opportunity for al fresco dining and living, even while promising complete privacy. 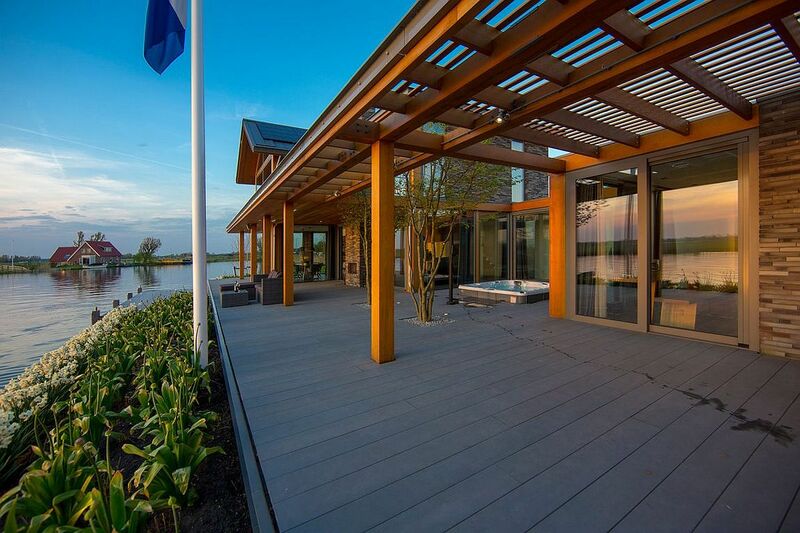 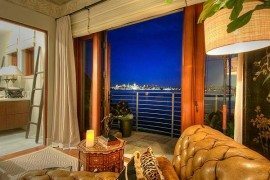 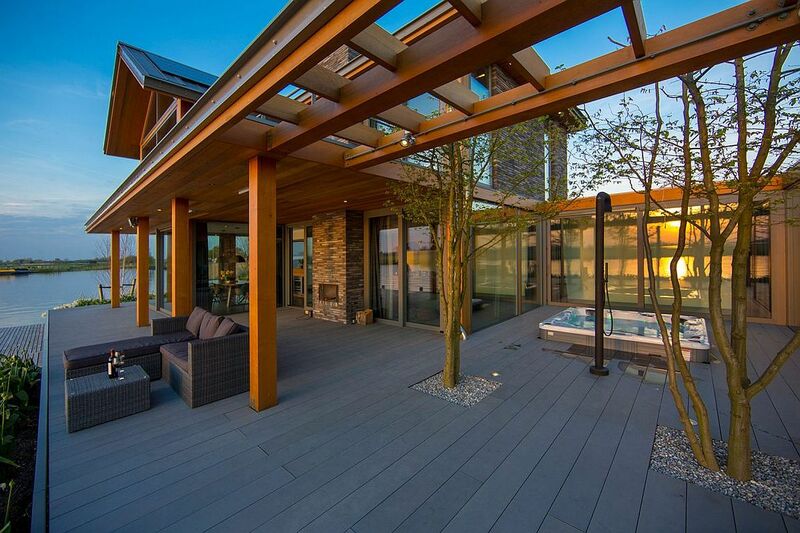 The presence of a hot tub that overlooks the waterways and minimal seating add to the opulence of the setting.